My sincerest apologies to my readers! An egregious oversight on my part!! 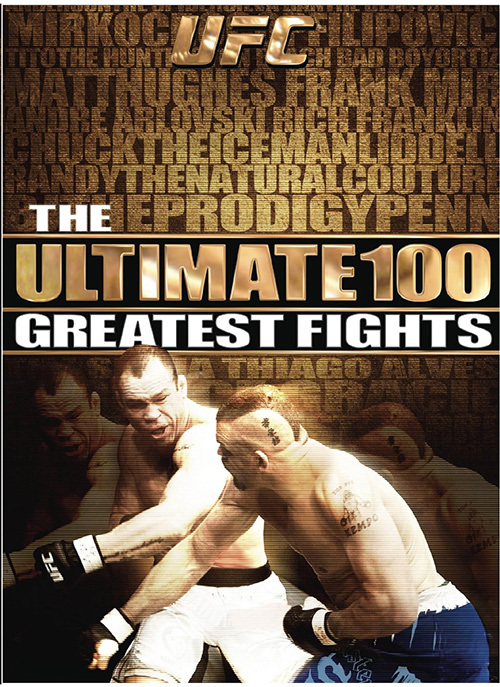 Back in July 2009, prior to the broadcast of UFC 100, fans were given a chance to vote for their Ultimate 100 UFC Fights. I posted Part 1 which covered #100 - #76 and Part 2 covered #75 down to #11 with a promised Part 3 which would be the Top 10. But I neglected to post it and shame on your readers for not calling me out on it! As a reminder, the list included Ultimate Fight Night, The Ultimate Fighter seasons 1-9 Finales and UFC's 1-99. Without further ado, 4 years and a few months late, here is the Top 10 Ultimate UFC fights as voted by UFC fans. Do you agree? Were there fights that didn't make it to the 100 that you felt were worthy?